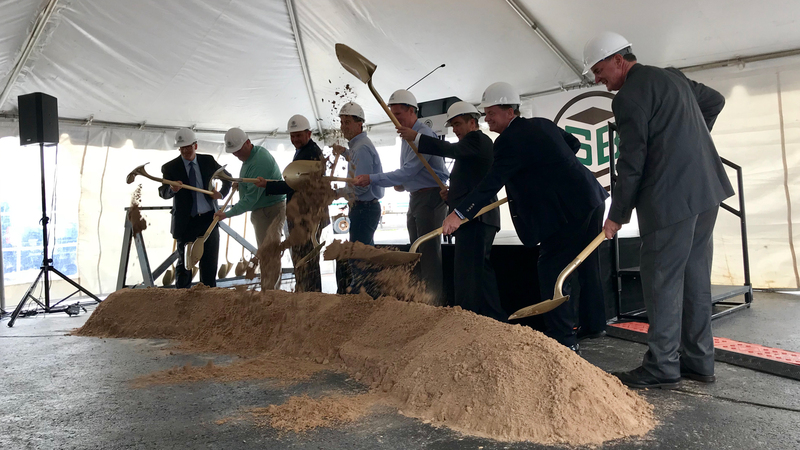 Just two months after announcing plans to replace its 71-year-old Green Bay Paper Mill, leaders from Green Bay Packaging Inc. formally broke ground on constructing the first new paper mill in the State of Wisconsin in over 30 years. Wisconsin Governor Scott Walker, City of Green Bay Mayor Jim Schmitt, and Brown County Executive Troy Streckenbach joined the company to mark the beginning of the largest business development project in the history of Brown County, Wisconsin. Green Bay Packaging is not only furthering its commitment to Northeast Wisconsin by making this $500 million long-term investment in Green Bay, but by also partnering with local companies to design and construct the facility and install its equipment. Neenah-based Miron Construction has been selected as the general contractor to construct the new mill. The design and construction of the mill will create 1,000 additional construction jobs across Brown County and require approximately 1.5 million labor hours. Green Bay Packaging has also contracted with Voith, whose North American headquarters is in Appleton, to install a new paper machine showcasing cutting edge technology and serve as the single full line supplier for all corresponding papermaking equipment.